As of Saturday, December 31, 2016, at least 2,392 members of the U.S. military had died in Afghanistan, Pakistan, and Uzbekistan as a result of the invasion of Afghanistan in late 2001, according to iCasualties.org. Army Green Beret Staff Sgt. Matthew Q. McClintock, 30, Albuquerque, New Mexico, died Jan. 5, 2016 in Marjah District, Afghanistan, from wounds suffered when the enemy attacked his unit with small-arms fire. He was assigned to the 1st Battalion, 19th Special Forces Group (Airborne), Washington National Guard, Buckley, Washington. Navy Petty Officer 2nd Class Andrew J. Clement, 38, Peabody, Massachusetts, died June 21, 2016 of a noncombat-related injury while deployed to Camp Lemonnier, Djibouti. He was a mobilized Navy reservist assigned to the Navy Reserve Unit Tactical Air Control Squadron 22, Navy Operational Support Center (NOSC), Quincy, Massachusetts, forward deployed to Camp Lemonnier, Djibouti. Army Staff Sgt. Christopher A. Wilbur, 36, Granite City, Illinois, died Aug. 12, 2016 in Kandahar, Afghanistan, from a noncombat-related injury. He was assigned to 1st Battalion, 12th Infantry Regiment, 2nd Brigade Combat Team, 4th Infantry Division, in Fort Carson, Colorado. Army Green Beret Staff Sgt. Matthew V. Thompson, 28, Irvine, California, died Aug. 23, 2016 in Lashkar Gah, Helmand Province, Afghanistan, of injuries caused by an improvised explosive device that detonated near his patrol while conducting dismounted operations. He was assigned to 3rd Battalion, 1st Special Forces Group (Airborne), Joint Base Lewis-McChord, Washington. Army Green Beret Staff Sgt. Adam S. Thomas, 31, Tacoma Park, Maryland, died Oct. 4, 2016 in Nangarhar Province, Afghanistan, from injuries caused by an improvised explosive device that exploded during dismounted operations. He was assigned to B Company, 2nd Battalion, 10th Special Forces Group (Airborne), Fort Carson, Colorado. Army Sgt. Douglas Riney, 26, Fairview, Illinois, died Oct. 19, 2016 in a shooting attack at Camp Morehead, Afghanistan, an ammunition supply point outside Kabul. He was assigned to the Support Squadron, 3rd Cavalry Regiment, at Fort Hood, Texas. The shooter was reportedly wearing an Afghan army uniform. Army civilian Michael Sauro, 40, McAlester, Oklahoma, died Oct. 19, 2016 in a shooting attack at Camp Morehead, Afghanistan, an ammunition supply point outside Kabul. He was assigned to the Defense Ammunition Center, McAlester Army Ammunition Point. The shooter was reportedly wearing an Afghan army uniform. Army Green Beret Capt. Andrew D. Byers, 30, Rolesville, North Carolina, died Nov. 3, 2016 in Kunduz, Afghanistan, of wounds sustained while engaging enemy forces. He was assigned to Company B, 2nd Battalion, 10th Special Forces Group (Airborne), Fort Carson, Colorado. Army Green Beret Sgt. 1st Class Ryan A. Gloyer, 34, Greenville, Pennsylvania, died Nov. 3, 2016 in Kunduz, Afghanistan, of wounds sustained while engaging enemy forces. He was assigned to Company B, 2nd Battalion, 10th Special Forces Group (Airborne), Fort Carson, Colorado. Army Pfc. Tyler R. Iubelt, 20, Tamaroa, Illinois, died Nov. 12, 2016 in Bagram, Afghanistan, of injuries sustained from an improvised explosive device (suicide bomber). He was assigned to Headquarters and Headquarters Company, 1st Special Troops Battalion, 1st Sustainment Brigade, 1st Cavalry Division, Fort Hood, Texas. Army Sgt. 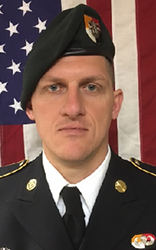 John W. Perry, 30, Stockton, California, died Nov. 12, 2016 in Bagram, Afghanistan, of injuries sustained from an improvised explosive device (suicide bomber). He was assigned to Headquarters and Headquarters Company, 1st Special Troops Battalion, 1st Sustainment Brigade, 1st Cavalry Division, Fort Hood, Texas. Army Sgt. 1st Class Allan E. Brown, 46, Takoma Park, Maryland, died Dec. 6, 2016 at Walter Reed National Medical Center, Bethesda, Maryland, of injuries sustained from an improvised explosive device (suicide bombing) in Bagram, Afghanistan, that occurred on Nov. 12. He was assigned to Headquarters and Headquarters Company, 1st Special Troops Battalion, 1st Sustainment Brigade, 1st Cavalry Division, Fort Hood, Texas. As of Saturday, December 31, 2016, at least 4,512 members of the U.S. military had died in the Middle East since the invasion of Iraq in March 2003, according to according to iCasualties.org. 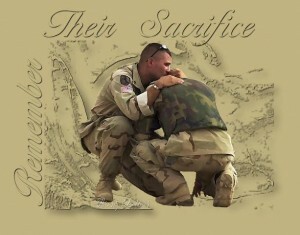 Since the start of U.S. military operations in Iraq, 32,223 U.S. service members have been wounded as of Nov. 30, 2011, the latest number reported by iCasualties.org. Air Force Maj. John D. Gerrie, 42, Nickerson, Kansas, died Jan. 16, 2016 in Al Udeid Air Base, Qatar, from a noncombat-related incident. He was assigned to 453rd Electronic Warfare Squadron, Joint Base San Antonio-Lackland, Texas. 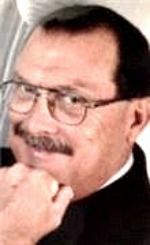 Navy civilian Blane D. Bussell, 60, Virginia, died Jan. 26, 2016 in Manama, Bahrain, of noncombat-related causes. He was assigned to Forward Deployed Regional Maintenance Center Detachment Bahrain at Naval Support Activity Bahrain. Marine Staff Sgt. Louis F. Cardin, 27, Temecula, California, died March 19, 2016 in northern Iraq, from wounds suffered when the enemy attacked his unit with rocket fire. He was assigned to the 2nd Battalion, 6th Marine Regiment, 26th Marine Expeditionary Unit, Camp Lejeune, North Carolina. Air Force Airman 1st Class Nathaniel H. McDavitt, 22, Glen Burnie, Maryland, died April 15, 2016 in Southwest Asia as a result of injuries sustained after extreme winds caused structural damage to the building in which he was working. He was assigned to the 52nd Equipment Maintenance Squadron at Spangdahlem Air Base, Germany. Navy civilian Marcus D. Prince, 22, Norfolk, Virginia died April 26, 2016 in Juffir, Bahrain, of noncombat-related causes. He was assigned to USNS Pecos (T-AO 197). Navy civilian Michael M. Baptiste, 60, Brooklyn, New York, died April 28, 2016 in Juffir, Bahrain, of noncombat-related causes. He was assigned to Forward Deployed Regional Maintenance Center Detachment Bahrain at Naval Support Activity Bahrain. Navy Special Warfare Operator 1st Class Charles H. Keating IV, 31, San Diego, California, died May 3, 2016 in Tall Usquf, Iraq, of combat-related causes after Islamic State militants penetrated Kurdish defensive lines. He was assigned to a West Coast-based Navy SEAL Team. Keating’s was the third American combat death in Iraq since the U.S. military deployed advisers and other personnel there in 2014 to support the war against the Islamic State. Army National Guard 1st Lt. David A. Bauders, 25, Seattle, Wash., died May 6, 2016 on Al Asad Air Base, Iraq, in a noncombat-related incident. He was assigned to the Washington National Guard’s 176th Engineer Company, Snohomish, Wash.
Navy Gunner’s Mate Seaman Connor Alan McQuagge, 19, from Utah, died May 26, 2016 of a noncombat-related injury while underway in the Red Sea. He was assigned to USS Harpers Ferry (LSD 49), forward deployed in the U.S. 5th Fleet area of operations. Air Force 1st Lt. Anais A. Tobar, 25, Miami, Florida, died July 18, 2016 in Southwest Asia from a noncombat-related injury. She was assigned to the 4th Aircraft Maintenance Squadron, Seymour Johnson Air Force Base, North Carolina. Air Force Lt. Col. Flando E. Jackson, 45, Lansing, Michigan, died Aug. 4, 2016 in Southwest Asia from a noncombat-related injury. He was assigned to the 194th Wing, Camp Murray, Washington National Guard, Washington. Army 1st Lt. Jeffrey D. Cooper, 25, Mill Creek, Washington, died Sept. 10, 2016 in Kuwait, from a noncombat-related injury. He was assigned to Headquarters and Headquarters Company, 2nd Battalion, 502nd Infantry Regiment, 2nd Brigade Combat Team, Fort Campbell, KY.
Army Warrant Officer Travis R. Tamayo, 32, Brownsville, Texas, died Sept. 16, 2016 in Abu Dhabi, United Arab Emirates, in a noncombat-related incident. He was assigned to the 202nd Military Intelligence Battalion, Fort Gordon, Georgia. Navy Chief Petty Officer Jason C. Finan, 34, Anaheim, California, died Oct. 20, 2016 in northern Iraq, of wounds sustained in an improvised explosive device blast. He was assigned to Explosive Ordnance Disposal Mobile Unit Three. Army Green Beret Staff Sgt. 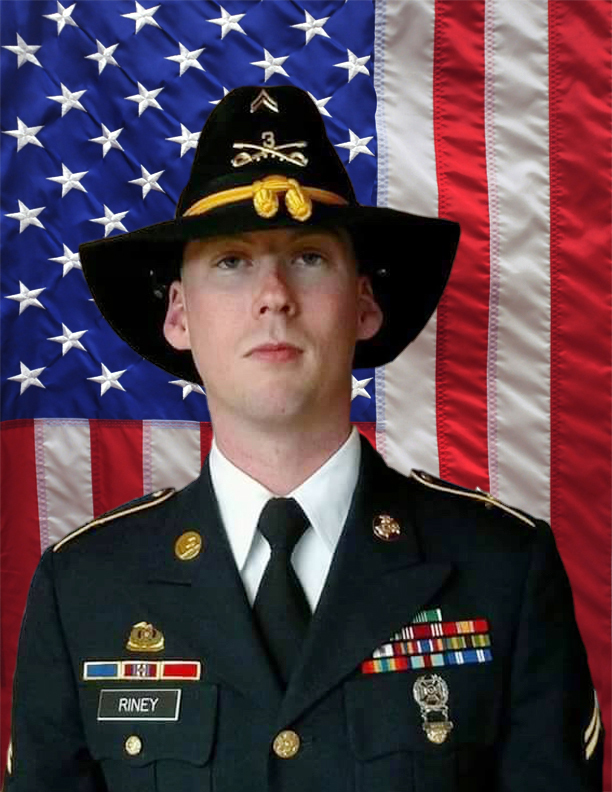 Matthew C. Lewellen, 27, Lawrence, Kan., died Nov. 4, 2016 in Jafr, Jordan, of wounds sustained when his convoy came under fire entering a Jordanian military base. He was assigned to the 5th Special Forces Group (Airborne), Fort Campbell, Kentucky. Army Green Beret Staff Sgt. Kevin J. McEnroe, 30, Tucson, Ariz., died Nov. 4, 2016 in Jafr, Jordan, of wounds sustained when his convoy came under fire entering a Jordanian military base. He was assigned to the 5th Special Forces Group (Airborne), Fort Campbell, Kentucky. Army Green Beret Staff Sgt. James F. Moriarty, 27, Kerrville, Texas, died Nov. 4, 2016 in Jafr, Jordan, of wounds sustained when his convoy came under fire entering a Jordanian military base. He was assigned to the 5th Special Forces Group (Airborne), Fort Campbell, Kentucky. Army Spc. Ronald L. Murray Jr., 23, Bowie, Maryland, died Nov. 10, 2016 in Kuwait in a noncombat-related incident (vehicle accident). He was assigned to 4th Battalion, 1st Field Artillery Regiment, 3rd Armored Brigade Combat Team, 1st Armored Division, Fort Bliss, Texas. Navy Senior Chief Petty Officer Scott C. Dayton, 42, Woodbridge, Virginia, died Nov. 24, 2016 in northern Syria, of wounds sustained in an improvised explosive device blast. He was assigned to Explosive Ordnance Disposal Mobile Unit Two, based in Virginia Beach, Virginia. Navy Aviation Boatswain’s Mate (Fuels) Airman Devon M. Faulkner, 24, North Carolina, died Sept. 20, 2016 of a noncombat-related injury while underway. He was assigned to USS Wasp (LHD 1), forward deployed in the central Mediterranean Sea. Army Green Beret Sgt. 1st Class Robert R. Boniface, 34, San Luis Obispo, California, died March 19, 2017 in Logar Province, Afghanistan, from a noncombat-related incident. He was assigned to the 1st Battalion, 7th Special Forces Group, Eglin Air Force Base, Florida. Army Green Beret Staff Sgt. Mark R. De Alencar, 37, Edgewood, Maryland, died April 8, 2017 in Nangarhar Province, Afghanistan, of injuries sustained when his unit came in contact with enemy forces using small-arms fire during counter-ISIS combat operations. He was assigned to 1st Battalion, 7th Special Forces Group (Airborne), Eglin Air Force Base, Florida. Army Sgt. Joshua P. Rodgers, 22, Bloomington, Illinois, died April 27, 2017 in Nangarhar Province, Afghanistan, as a result of small-arms fire while engaged in a raid on the headquarters of Abdul Hasib, the leader of ISIS-K in Afghanistan (ISIS Khorasan). He was assigned to 3rd Battalion, 75th Ranger Regiment, Fort Benning, Georgia. Army Sgt. Cameron H. Thomas, 23, Kettering, Ohio, died April 27, 2017 in Nangarhar Province, Afghanistan, as a result of small-arms fire while engaged in a raid on the headquarters of Abdul Hasib, the leader of ISIS-K in Afghanistan (ISIS Khorasan). He was assigned to 3rd Battalion, 75th Ranger Regiment, Fort Benning, Georgia. Army Sgt. William M. Bays, 29 Barstow, California, died June 10, 2017 in Peka Valley, Nangarhar Province, Afghanistan, of gunshot wounds sustained in a reported “green-on-blue” insider attack in Peka Valley. He was assigned to D Company, 1st Battalion, 187th Infantry Regiment, 3rd Brigade Combat Team, 101st Airborne Division (Air Assault), Fort Campbell, KY.
Army Sgt. Eric M. Houck, 25, Baltimore, Maryland, died June 10, 2017 in Peka Valley, Nangarhar Province, Afghanistan, of gunshot wounds sustained in a reported “green-on-blue” insider attack in Peka Valley. He was assigned to Headquarters and Headquarters Battery, 3rd Battalion, 320th Field Artillery Regiment, 101st Airborne Division (Air Assault), Fort Campbell, KY.
Army Pfc. Hansen B. Kirkpatrick, 19, Wasilla, Alaska, died July 3, 2017 in Helmand Province, Afghanistan, from wounds received during an indirect fire attack. He was assigned to the 1st Battalion, 36th Infantry Regiment, 1st Brigade Combat Team, 1st Armored Division, Fort Bliss, Texas. Army Spc. Christopher Michael Harris, 25, Jackson Springs, North Carolina, died Aug. 2, 2017 in Kandahar, Afghanistan, as a result of injuries sustained when a vehicle-borne improved explosive device detonated near his convoy. He was assigned to 2nd Battalion, 504th Infantry Regiment, 1st Brigade Combat Team, 82nd Airborne Division, Fort Bragg, N.C.
Army Sgt. Jonathon Michael Hunter, 23, Columbus, Indiana, died Aug. 2, 2017 in Kandahar, Afghanistan, as a result of injuries sustained when a vehicle-borne improved explosive device detonated near his convoy. He was assigned to 2nd Battalion, 504th Infantry Regiment, 1st Brigade Combat Team, 82nd Airborne Division, Fort Bragg, N.C.
Army Green Beret Staff Sgt. Aaron R. Butler, 27, Monticello, Utah, died Aug. 16, 2017 in Nangarhar Province, Afghanistan, of injuries suffered from an improvised explosive device while conducting combat operations. He was a Special Forces soldier assigned to the Utah National Guard’s B Company, 1st Battalion, 19th Special Forces Group (Airborne), Camp Williams, Utah. Army Spc. Gabriel D. Conde, 22, Loveland, Colorado, was killed in action April 30, 2018 as a result of enemy small-arms fire in Tagab District, Afghanistan. He was assigned to 3rd Battalion, 509th Infantry Regiment, 4th Infantry Brigade Combat Team (Airborne), 25th Infantry Division, U.S. Army Alaska, Joint Base Elmendorf-Richardson, Alaska. Army Cpl. Joseph Maciel, South Gate, California, died July 7, 2018, in Tarin Kowt District, Uruzgan Province, Afghanistan from wounds sustained during an apparent insider attack. He was assigned to 1st Battalion, 28th Infantry Regiment, 3rd Infantry Division, Fort Benning, Georgia. Task Force 1-28 Infantry deployed in support of the 1st Security Force Assistance Brigade. Army National Guard Spc. James A. Slape, 23, Morehead City, North Carolina, died Oct. 4, 2018, in Helmand Province, Afghanistan, as a result of wounds sustained from an improvised explosive device. He was assigned to 60th Troop Command, North Carolina Army National Guard, Washington, North Carolina. Army Spc. Isiah L. Booker, 23, Cibolo, Texas, died Jan. 7, 2017 in Jordan, in a noncombat-related incident while operating construction equipment. He was assigned to 2nd Battalion, 5th Special Forces Group, Fort Campbell, Kentucky. Army Spc. John P. Rodriguez, 23, Hemet, Calif., died Jan. 12, 2017 in the U.S. Central Command area of responsibility in a noncombat-related incident (reportedly from a self-inflicted gunshot wound) at Camp Arifjan, Kuwait. He was assigned to 2nd Engineer Battalion, 3rd Armored Brigade Combat Team, 1st Armored Division, Fort Bliss,Texas. Army Pfc. Brian. P. Odiorne, 21, Ware, Massachusetts died Feb. 20,2017 in Al Anbar Province, Iraq, from a noncombat-related incident. He was assigned to the 2nd Battalion, 82nd Field Artillery Regiment, 3rd Brigade Combat Team, 1st Cavalry Division, Fort Hood,Texas. Air Force Staff Sgt. Alexandria Mae Morrow, 25, Dansville, NY, died March 22, 2017 in Jordan while performing maintenance duties in support of combat operations (struck on the head while loading bombs onto a plane when a malfunction caused a bomb to slip off an aircraft). She was assigned to the 366th Aircraft Maintenance Squadron, Mountain Home Air Force Base, Idaho (but worked for the 322nd Air Expeditionary Wing overseas). Air Force Staff Sgt. Austin Bieren, 25, Umatilla, Oregon, died March 28, 2017 in northern Syria in a noncombat-related incident while deployed in support of combat operations. He was assigned to the 21st Space Wing at Peterson Air Force Base, Colorado. Army 1st Lt. Weston C. Lee, 25, Bluffton, Georgia, died April 29, 2017 in Mosul, Iraq, while conducting security as part of advise and assist support to partnered forces, from injuries sustained when an improvised explosive device detonated during a patrol outside Mosul. He was assigned to the 1st Battalion, 325th Infantry Regiment, 2nd Brigade Combat Team, 82nd Airborne Division, Fort Bragg, North Carolina. Navy Senior Chief Special Warfare Operator (SEAL) Kyle Milliken, 38, Falmouth, Maine, died May 5, 2017 in support of a Somali National Army-led operation with U.S. Africa Command against al-Shabaab in a remote area approximately 40 miles west of Mogadishu. He was assigned to an East Coast based special warfare unit. His death marks the first U.S. combat death in Somalia in more than two decades as the United States steps up its fight against the al-Qaida-linked al-Shabaab. Army Spc. Etienne J. Murphy, 22, Loganville, Georgia, died May 26, 2017 in Al-Hasakah, Syria, of injuries sustained during a vehicle rollover. He was assigned to B Company, 1st Battalion, 75th Ranger Regiment, Hunter Army Airfield, Georgia. Air National Guard Tech. Sgt. David Board, 49, Barboursville, West Virginia, died August 2, 2017 in Kuwait in a noncombat-related incident while deployed in support of combat operations. He was assigned to the 130th Airlift Wing at McLaughlin Air National Guard Base, West Virginia. Army Sgt. Roshain Euvince Brooks, 30, Brooklyn, New York, died Aug. 13, 2017, in Iraq of wounds sustained while engaged in combat operations (artillery counter-fire against an ISIS mortar site). He was assigned to 2nd Battalion, 319th Airborne Field Artillery Regiment, 2nd Brigade Combat Team, 82nd Airborne Division, Fort Bragg, North Carolina. Army Spc. Allen Levi Stigler Jr., 22, Arlington, Texas, died Aug. 13, 2017, in Iraq of wounds sustained while engaged in combat operations (artillery counter-fire against an ISIS mortar site). He was assigned to 2nd Battalion, 319th Airborne Field Artillery Regiment, 2nd Brigade Combat Team, 82nd Airborne Division, Fort Bragg, North Carolina. Civilian GS-12 Daniel Hoadley, 54, Colorado Springs, Colorado, died Aug. 18, 2017 in Riyadh, Saudi Arabia, from a noncombat-related incident. He was assigned to the Office of the Program Manager, Saudi Arabian National Guard Modernization Program, Riyadh, Saudi Arabia. Army Spc. Alexander W. Missildine, 20, Tyler, Texas, died Oct. 1, 2017 in Ninawa Province, Iraq, of injuries sustained when an improved explosive device detonated near his convoy. He was assigned to the 710th Brigade Support Battalion, 3rd Brigade Combat Team, 10th Mountain Division (Light Infantry), Fort Polk, La. Army Spc. Avadon A. Chaves, 20, Turlock, Calif., died Dec. 20, 2017 at Al Asad, Al Anbar Province, Iraq, from a noncombat- related incident. He was assigned to the 1st Battalion, 6th Infantry Regiment, 2nd Brigade Combat Team, Fort Bliss, Texas. Army Sgt. Christina Marie Schoenecker, 26, Arlington, Kansas, died Feb. 19, 2018 in Baghdad, Iraq, from a noncombat-related incident. She was assigned to the 89th Sustainment Brigade, Wichita, Kansas. Air Force Staff Sergeant Dashan J. Briggs, 30, Port Jefferson Station, New York, died March 15, 2018 in an HH-60 Pave Hawk helicopter crash in western Iraq. He was assigned to the 106th Rescue Wing at the Francis S. Gabreski Air National Guard Base, New York. Air Force Staff Sergeant Carl P. Enis, 31, Tallahassee, Florida, died March 15, 2018 in an HH-60 Pave Hawk helicopter crash in western Iraq. He was assigned to the 308th Rescue Squadron, Air Force Reserve, at Patrick Air Force Base, Florida. Air Force Captain Andreas B. O’Keeffe, 37, Center Moriches, New York, died March 15, 2018 in an HH-60 Pave Hawk helicopter crash in western Iraq. He was assigned to the 106th Rescue Wing at the Francis S. Gabreski Air National Guard Base, New York. Air Force Master Sergeant William R. Posch, 36, Indialantic, Florida, died March 15, 2018 in an HH-60 Pave Hawk helicopter crash in western Iraq. He was assigned to the 308th Rescue Squadron, Air Force Reserve, at Patrick Air Force Base, Florida. Air Force Master Sergeant Christopher J. Raguso, 39, Commack, New York, died March 15, 2018 in an HH-60 Pave Hawk helicopter crash in western Iraq. He was assigned to the 106th Rescue Wing at the Francis S. Gabreski Air National Guard Base, New York. Air Force Captain Mark K. Weber, 29, Colorado Springs, Colorado, died March 15, 2018 in an HH-60 Pave Hawk helicopter crash in western Iraq. He was assigned to the 38th Rescue Squadron at Moody Air Force Base, Georgia. Air Force Captain Christopher T. Zanetis, 37, Long Island City, New York, died March 15, 2018 in an HH-60 Pave Hawk helicopter crash in western Iraq. He was assigned to the 106th Rescue Wing at the Francis S. Gabreski Air National Guard Base, New York. Army Master Sgt. 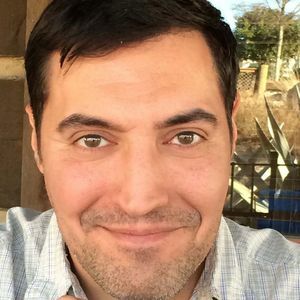 Jonathan J. Dunbar, 36, Austin, Texas, died March 30, 2018 in Manbij, Syria, as a result of injuries when an improvised explosive device (IED) detonated near his patrol. He was assigned to Headquarters, U.S. Army Special Operations Command, Ft Bragg, North Carolina. Army Green Beret Staff Sgt. Bryan C. Black, 35, Puyallup, Washington, died Oct. 4, 2017 in southwest Niger, as a result of hostile fire while on a reconnaissance patrol. He was assigned to 3rd Special Forces Group (Airborne), Fort Bragg, North Carolina. He was part of a joint U.S. and Nigerien train, advise, and assist mission. Army Green Beret Staff Sgt. Jeremiah W. Johnson, 39, Springboro, Ohio, died Oct. 4, 2017 in southwest Niger, as a result of hostile fire while on a reconnaissance patrol. He was assigned to 3rd Special Forces Group (Airborne), Fort Bragg, North Carolina. He was part of a joint U.S. and Nigerien train, advise and assist mission. Army Green Beret Sgt. La David T. Johnson, 25, Miami Gardens, Florida, died Oct. 4, 2017 in southwest Niger as a result of enemy fire. His body was recovered by U.S. personnel Oct. 6. He was assigned to 3rd Special Forces Group (Airborne), Fort Bragg, North Carolina. He was part of a joint U.S. and Nigerien train, advise and assist mission. Army Green Beret Staff Sgt. Dustin M. Wright, 29, Lyons, Georgia, died Oct. 4, 2017 in southwest Niger, as a result of hostile fire while on a reconnaissance patrol. He was assigned to 3rd Special Forces Group (Airborne), Fort Bragg, North Carolina. He was part of a joint U.S. and Nigerien train, advise and assist mission. Army Staff Sgt. Alexander W. Conrad, 26, Chandler, Arizona, died June 8, 2018 in Somalia of injuries sustained from enemy indirect fire. He was assigned to 1st Battalion, 3rd Special Forces Group, Fort Bragg, North Carolina in support of Operation Octave Shield. Navy Petty Officer 1st Class Matthew I. Holzemer, Tennessee, died June 17, 2018 at Camp Lemonnier, Djibouti, as a result of a noncombat-related incident. He was deployed in support of Special Operations Command Forward–East Africa for U.S. Africa Command. « Would Barack Obama Beat Donald Trump in a Hypothetical Matchup?